I was just informed that our partnership failed to file tax returns for a number of years. All partners received pro forma Schedules K-1, timely filed our individual tax returns, and reported all of our income from the partnership. What should we do? I won big on a horse racing bet, but a lot of my winnings were withheld in taxes. Why is that? The IRS recently initiated an employment tax audit of my business. My accounting department informed me that some of my workers may have been improperly classified as independent contractors. What can I do to limit my exposure? Brandon Mourges joined RMG’s tax department in 2011, having previously worked for several other firms in the metropolitan area. His practice involves the representation of individuals and businesses throughout all stages of federal and state tax controversy. 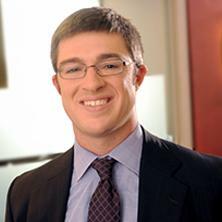 Brandon also has experience advising clients on issues involving tax and business planning, litigation, and compliance. He is a Certified Public Accountant in Maryland. Brandon is a graduate of The Wharton School of the University of Pennsylvania and earned his J.D. and LL.M. in Taxation from The University of Baltimore. He is admitted to practice in the State of Maryland, the United States District Court for the District of Maryland, and the United States Tax Court. Speaker, “AACC: Tax Controversy Forum,” MACPA Anne Arundel Chapter (September 2017). Presentation regarding employment tax enforcement, the trust fund recovery penalty and other personal liability statutes, audit strategies, and related compliance issues. Speaker, “The Foreign Account Tax Compliance Act (FATCA) – An Update in 2016,” The Knowledge Group (April 2016). Presentation included recent updates concerning implementation of FATCA (Notice 2015-66, Notice 2016-08, etc. ), effect of intergovernmental agreements on financial reporting, and impact of FATCA and other reporting regimes such as UK CDOT and CRS on financial institutions and accountholders. Speaker, “AACC: Tax Controversy Forum,” MACPA Anne Arundel Chapter (August 2016). Presentation regarding tax penalties and discussion of their application, available defenses, and procedural issues. Represented individual investigated for filing false income tax returns resulting in a loss of more than $750,000. Client charged with a single violation of 26 U.S.C. § 7206(1) resulting in an advisory Guideline range of 24 to 30 months. In September 2014, court granted a downward variance, resulting in sentence of probation with the condition of 12 months of home detention. Represented individual investigated for filing false income tax returns. Negotiated a misdemeanor plea to a single count of 26 U.S.C. § 7207. In May 2014, successfully argued for a probationary sentence. Represented individual investigated for embezzlement and filing false income tax returns and amended income tax returns over a twelve year period. Negotiated a two-count plea to violation of 18 U.S.C. § 1343 and 26 U.S.C. § 7201. In April 2013, successfully challenged government’s argument against grouping, resulting in a reduced advisory Guideline range of 27 to 33 months. Court granted downward variance, resulting in a 15-month sentence with a recommended designation to a minimum security satellite camp. Represented individual investigated for failing to file foreign bank account reports and filing false income tax returns resulting in a loss of more than $800,000. Client charged with a single violation of 26 U.S.C. § 7201 resulting in an advisory Guideline range of 24 to 30 months. In February 2013, court granted downward variance, resulting in sentence of one year and one day incarceration, with a recommendation for direct placement to a local residential reentry center (formerly referred to as community confinement or halfway house). Represented individual investigated for tax evasion and structuring resulting in a loss of more than $230,000. Client charted with a single violation of 26 U.S.C. § 7201 resulting in advisory Guideline range of 18 to 24 months. In November 2012, court granted downward variance, resulting in sentence of one year and one day with additional condition of six months’ home detention. Represented an individual in United States Tax Court that faced significant personal liability for proposed trust fund recovery penalty assessments for numerous periods relating to operation of a business. Successfully defended the case on grounds of lack of notice of proposed assessment and persuaded the Internal Revenue Service to settle the matter without any personal liability to the individual. Represented publicly traded company subject to derivative action for alleged fiduciary violations of employees. Aided company in performing internal investigation and addressing derivative suit. Disposed of matter without trial by working with company to adopt best practices to avoid future compliance issues. Represented tax preparer in injunction action filed by the Department of Justice. Successfully persuaded the government to settle the matter, without civil liability to the tax preparer, by agreeing to future compliance measure and monitoring. Offshore and Domestic Disclosures. Represented numerous individuals in the 2011 Offshore Voluntary Disclosure Initiative (OVDI), 2012 Offshore Voluntary Disclosure Program (2012 OVDP), and 2014 Offshore Voluntary Disclosure Program (2014 OVDP). Successfully argued for reduced penalty rates in many cases under voluntary disclosure programs pursuant to FAQ 52/FAQ 53 and under Transition Rules. Also represented individuals utilizing Streamlined Domestic Offshore Procedures, Streamlined Foreign Offshore Procedures, and opt out procedures of OVDI. In addition to disclosures to the Internal Revenue Service, have addressed corresponding tax matters with Comptroller of Maryland and District of Columbia Office of Tax and Revenue (DC OTR). Aside from offshore disclosures, also represented individuals and entities with potential criminal exposure through Internal Revenue Service's Voluntary Disclosure Practice (IRM 9.5.11.9) and corresponding state practices. Offshore Tax Compliance. Represented individuals with interests in Controlled Foreign Corporations (CFCs), foreign partnerships, foreign trusts, Passive Foreign Investment Companies (PFICs), and foreign pensions. Experienced with compliance and preparation of schedules and forms for these investments, including all aspects of Form 5471, Form 8865, Form 3520, Form 8621, Form 8938, and Reports of Foreign Bank and Financial Accounts (FinCEN Form 114). Submitted Private Letter Ruling (PLR) requests for income tax deferral with respect to Canadian Registered Retirement Savings Plans (RRSPs) and Registered Retirement Income Funds (RRIFs) as well as for late elections for “mark-to-market” (MTM) and “qualified electing fund” (QEF) treatment for PFICs. Tax Preparer Investigations. Represented individuals and businesses under investigation or audit by the Internal Revenue Service, Comptroller of Maryland, and or the Department of Labor, Licensing, and Regulation. Defended various clients against criminal prosecution and issues with significant potential civil liabilities.